Rotherham United are proud to announce the ‘one-stop’ mobile cycle hub will be at the Aesseal New York Stadium for the Ipswich fixture on the 7th of November! 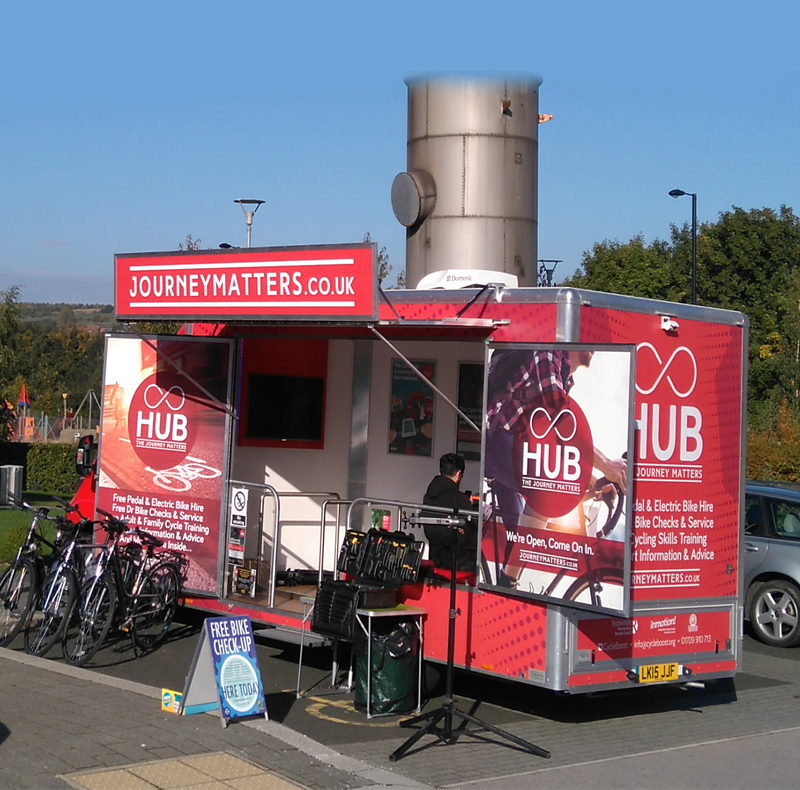 ‘One-stop’ mobile cycle hub has been travelling around the borough visiting various locations and businesses, the new hub vehicle is a ‘one-stop shop’ for everything to do with bikes, including repairs, cycle hire, riding skills and training as well as information and advice. Jamie Noble, Head of Community said “it’s a fantastic idea, not only is it good for the environment it saves costs on expenses such as fuel and parking! But most importantly the ‘One-stop’ mobile cycle hub gives the fans an opportunity to participate a healthier life style.